You have until October 3rd to catch a new presentation of the classic New Topographic exhibit from the 70’s that redefined modern fine art photography. 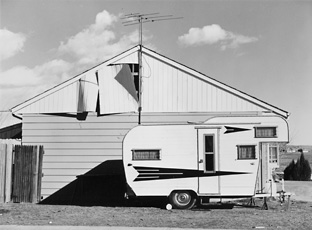 All original materials contained on BWGallerist.com are protected by United States copyright law and may not be reproduced for commercial purposes without prior written permission. Non-commercial and personal use is allowed. All source photos and written materials incorporated or referenced are copyright protected by the named institutions, commercial enterprises and photographers.